25AndOlder Sports is an extension of the 25AndOlder Entertainment and Social Network. Our sports division was created to provide a platform for our members to recreate, network and socialize. 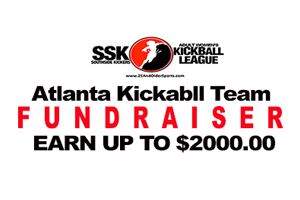 SSK is our Adult Women’s Kickball League based in Metro Atlanta. 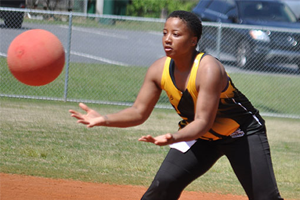 It’s through the childhood sport of KICKBALL that we promote Adults having an Active Lifestyle, Building Stronger Communities, Having Old Fashioned Fun, Sportsmanship and Competition! No matter a person’s skill level or athletic ability, we’ll find them a team to enjoy the game and opportunities to make new friends that could last a lifetime. 2017 was a breakout year for SSK Kickball. We were the recipients of two Very Prestigious Awards and Honors. These recognitions celebrate the work we’re doing in the community and validates that we’re on the right path to accomplishing the goals we have set through the sport of Kickball. 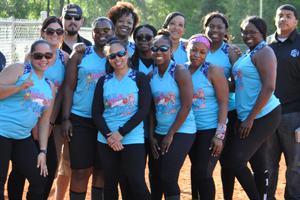 Overall, last year we were able to execute 7 successful Kickball Seasons and serviced over 500 women in​ helping them reach their fitness, social and athletic goals. We conducted several community service events that were designed to celebrate the health benefits of healthy living and having fun as an adult through the sport of Kickball. Lastly, in our attempt to help promote the sport, we were able to post well over 50 Kickball games on our YouTube channel and racked up well over 38,000 views. 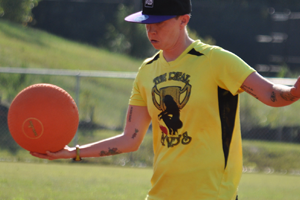 This Year… ​We Hope to Serve More People and Continue to Promote the Sport of Kickball.